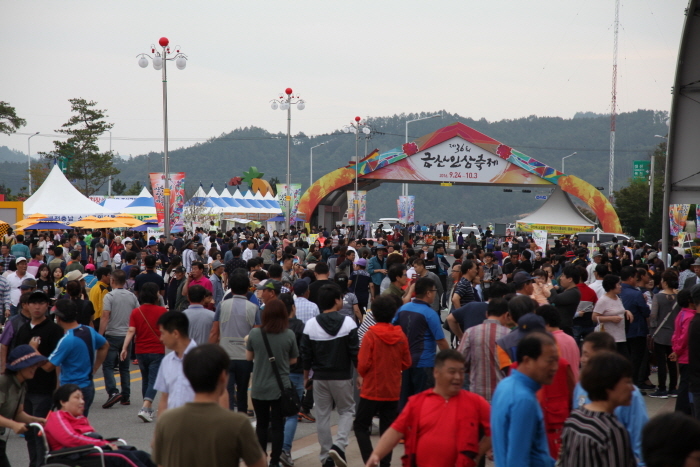 Geumsan Insam Festival is held annually in Geumsan-gun, the largest production region of ginseng in Korea. 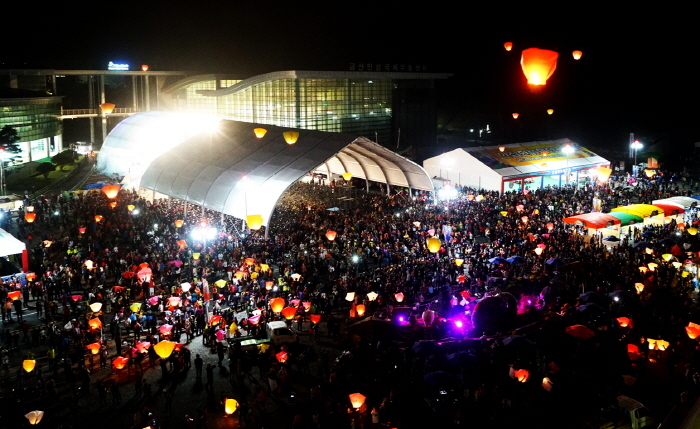 Growing both in content and in size, the festival was selected as a cultural and tourism festival by the Ministry of Culture, Tourism, and Sports in 1996 and became established as a national festival. 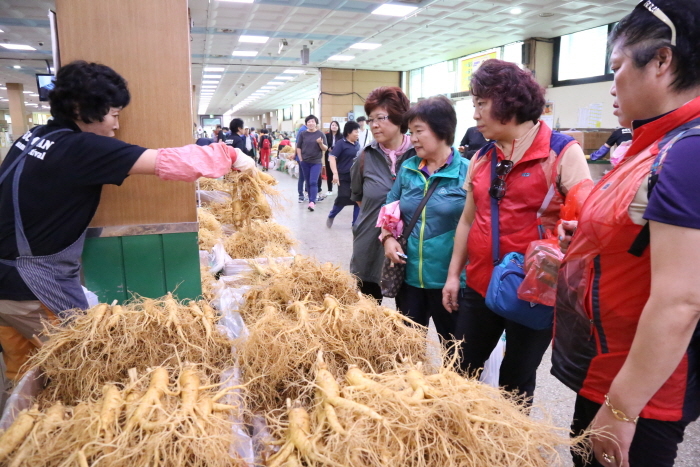 With the rising popularity of the festival, the marvelous effects of Geumsan ginseng have become known throughout the nation, drawing an increasing number of local and foreign tourists every year. The festival also holds special exhibitions and sets up booths where people can try some of the various health therapies. Aside from the exhibitions, exciting events, performances, and delicious food are sure to please visitors. 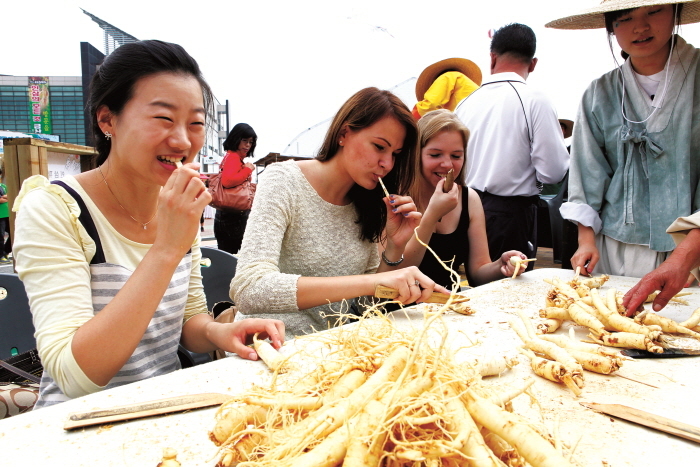 [Hands-on Program] Health Experience Hall, Digging up ginseng, Nostalgic Ginseng Street, Geumsan Self Studio, Children's Healing Playground, Health and Longevity Hall, etc. [Cometition] National Ginseng Medicial Cooking Contest, Healthy Dance Competition, National Creative Music Competition, University Student Trot Singing Contest, etc. 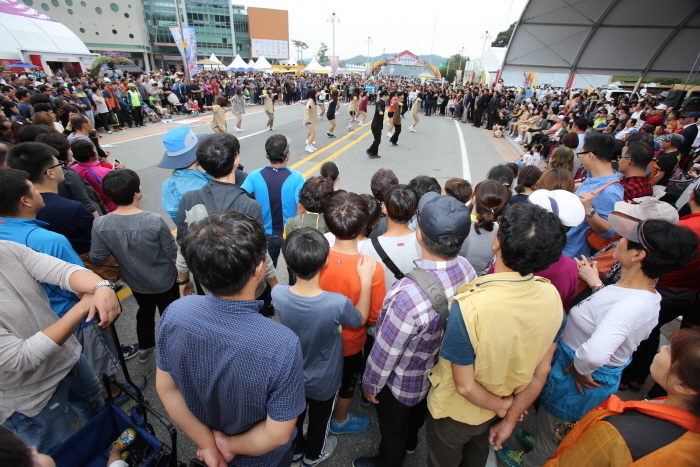 [Performance] Geumsan Traditional Folk Performance, Musical Gala Concert, Health and Beauty Concert, Geumsan Ginseng Concert, Famous OST Concert, etc. [Exhibition] Geumsan Ginseng Globalization Symposium, etc. Take a bus from Seoul Express Bus Terminal to Geumsan.